Ibotta App Review – Is Ibotta A Scam or Legit? 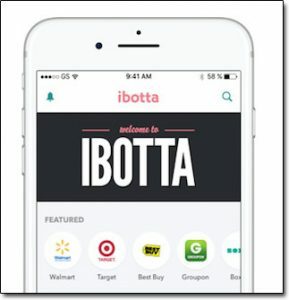 In this review I’m going to be taking a look at something called Ibotta which is a cashback app for iPhone & Android that supposedly enables you earn cashback when you shop for various things online. Unlike many of the other cashback apps instead of earning points which are later redeemed for vouchers or cash Ibotta claims to pay you straight in cash right from your very first purchase. So is it legit or is Ibotta a scam that’s somehow out to part you with your time or hard earned cash? And if it does work can you really make enough money to make it worthwhile downloading the app? Those are the exact things I’ll be finding out here in this Ibotta review which means if you’ve been thinking about downloading the app you can rest assured that you’ve landed in exactly the right place to find out everything you need to know before you do – and it’s also worth pointing out that I’m not affiliated with Ibotta so you’ll be getting an honest review from a third party user. As I briefly touched on above Ibotta is a downloadable app for Android & iPhones that enables users to earn cashback when they shop for things online. The app offers you cashback on a huge range of products including everyday things like groceries, along with not-so-everyday things like clothing, cosmetics & even other mobile apps too. Ibotta itself is actually free to download & join, however at the moment it’s sadly only available for people who reside within the USA or Puerto Rico. On the upside there doesn’t seem to be any minimum age require for members to join so as far as I’m aware Ibotta is open for all ages, even those under 18. With Ibotta being a cashback app that means that in order to make money you’re going to have to spend money, so whereas I usually review money-making products this one really falls more into the category of money-saving instead. It won’t see you getting rich by any means but it could undoubtedly see you saving a fair amount on your shopping bill, plus you can earn a little bit extra by referring friends too (more on that in a moment). There are actually 3 different ways you can choose to earn through Ibotta which I’ll explain in more detail below. This method of claiming cashback through Ibotta is quite simple – you download the app to your smartphone, purchase products from the retailers listed within the app & then take a photo of the receipt through the app to prove that you made the purchase. It’s also worth mentioning that to be eligible to get the cashback you will need to unlock what they call “rebates” which basically requires you to carry out a small task within the app before you purchase the product. But once you’ve completed all the steps you’ll get the cashback credited to your account (in real cash value) within 48 hours of submitting the receipt. That’s pretty good considering several other cashback websites/apps take around 20-30 days to process cashback, so Ibotta definitely beats them hands down in that respect. Basically the app covers over 500,000+ locations so providing you do you research I’m confident that you’ll be able to find stores in your area which you’ll be able to claim cashback through using the Ibotta app. Rather than having to mess around submitting receipts if you have any stores you frequent at where you hold a loyalty card you can link that to Ibotta instead – then Ibotta will simply be able to confirm your purchases via the card. It’s worth pointing out that this method won’t work for all stores, but it does work for the majority of the big name stores where the likelihood is that you’ll be spending the most of your money. So like you would with the receipts, basically you’ll go onto the app, unlock the rebate, make the purchase & then instead of needing to photograph a receipt Ibotta will simply confirm the purchase via the linked loyalty account. This is probably the easiest & most efficient way to earn money with Ibotta. All you need to do is firstly locate which apps offer cashback rewards via the Ibotta app, then hit the “Launch App” button & continue to make your purchases. Ibotta isn’t partnered with every mobile in the app in the world, but it’s certainly safe to say that they’re partnered with a lot so you shouldn’t have any problems finding a store you shop at via which you can claim cashback. Some of the big ones for example include the likes of iTunes, Apple Music, Ticket Master & Groupon. How Do You Get Paid From Ibotta? Earning money is all fair & well but the important thing before you go ahead & dive right in is to make sure that you’ll able to actually be able to get paid – it’s something often a lot of people forget about. Ibotta is actually pretty good on the payment front – once you’ve racked up $20.00 in earnings (which to be honest doesn’t take all that long) you’ll be able to withdraw in cash via PayPal or Venmo. Alternatively if you wish you can have the money converted into gift cards & rather than restricting you to just a few like many other cashback sites Ibotta actually offers a whole bunch of different gift cards. One way to increase your earnings with Ibotta (and potentially make money as opposed to just saving money) is by referring your friends to the app. You’ll get a generous $5 credited to your account for every friend that you refer who then goes on to complete the sign up process. The good thing is that since Ibotta encourage users to sign up using their social media accounts (like Facebook or Twitter) generally you can just hit a button & Ibotta will be automatically recommended to your friends. If any of them sign up – you get $5… So if you have 1,000 Facebook friends you could potentially make $5,000 – though whilst that amount would be nice it’s kind of unlikely… I’d say you could expect 1 or 2 will join per 1,000 as sadly that’s more realistic (sorry for bursting the bubble). My Verdict – Is Ibotta a Scam? It’s clear to me that Ibotta is not a scam, it’s indeed a legit way to earn cashback on your shopping & if you live in the USA or Puerto Rico where the app is currently accepting members then I’d definitely recommend you give it a try. 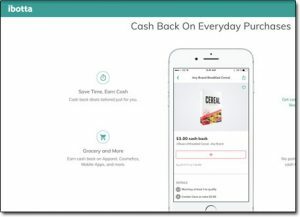 Through the app you can expect to receive cashback amounts of around $0.50 to $10 on the items that you purchase which can definitely rack up to a substantial amount of saving over time – especially considering it’s not requiring you to do any extra work other than photograph your receipt or shop through the app. Plus whilst I’m on the topic of money-making mobile apps another good one for members of the USA that I recently reviewed was an app called Lucktastic – it’s not a cashback app but it’s free & could see you making some extra money… Just another one worth checking out – after all you can’t beat a bit of money for nothing. So yeah overall it’s a big thumbs up from for me for the Ibotta app, it’s a shame that it’s not available in more countries yet but hopefully they roll that out soon – it’s definitely a great little free way to earn extra cash. Is Internet Millionaire Coach a Scam? Honest Review!